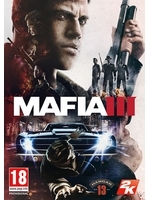 If you pre-order Mafia III, as a gift from the family, you'll receive as a bonus three exclusive vehicles and weapons. I'm looking very much forward to this game. I was absolutely amazed by the first one although the second game did let me down a bit. I pre-order digital games from GMG all the time because they're discounted.